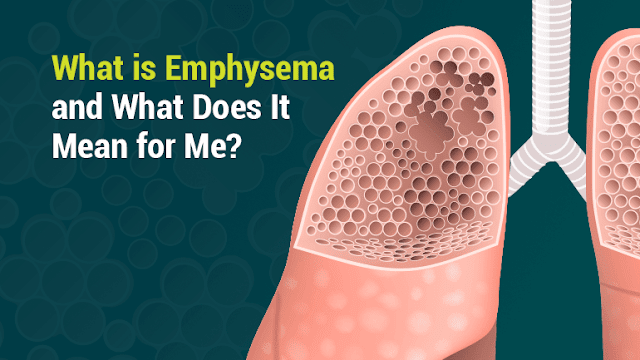 Home » Health » What Is Emphysema? Emphysema is a chronic disease due to damage to the air bag or alveolus in the lungs. Over time, damage to the air bag gets worse, forming a large bag of broken small bags. As a result, the surface area of the lungs decreases which causes oxygen levels to reach the bloodstream to decrease. This condition also makes the lungs slowly enlarge due to air trapped in the bag and difficult to remove. Emphysema is one of chronic obstructive pulmonary diseases (COPD) . Based on the 2013 Ministry of Health's Basic Health Research (Riskesdas), 4 out of 100 people in Indonesia suffer from COPD. Handling of emphysema is intended to inhibit the development of the disease, but damage to the lungs cannot be restored. The development of emphysema can last for years. Therefore, significant symptoms are usually only felt at the age of around 40-60 years. Cigarette smoke. Emphysema is mostly experienced by smokers , both active and passive, who are exposed to cigarette smoke for a long time. lack of a protein that functions to protect the elastic structure of the lungs in the body. However, this condition is rare. Imaging test. An example is a chest X-ray to identify changes in the lungs that indicate emphysema. X-rays will usually be combined with a CT scan to produce more detailed images to ensure emphysema. Blood test . This test serves to look at checking the amount of oxygen and carbon dioxide in the bloodstream or called the blood gas analysis . Lung function tests . In pulmonary function tests , also called spirometry, patients will be asked to blow air into a special device to measure the amount of air coming out. Electrocardiography, to see heart function in order to examine the causes of symptoms caused. Before undergoing treatment, the doctor will advise all emphysema sufferers who smoke to stop the bad habit. Medicine . The pulmonary doctor can provide exhalation medications, such as terbutaline , to relieve symptoms. In addition, corticosteroid drugs in the form of inhaled drugs can also be used to reduce inflammation and relieve symptoms. For emphysema sufferers who have bacterial infections, doctors will include antibiotics. Supportive therapy . Examples are chest physiotherapy or also called pulmonary rehabilitation programs, supplemental oxygen administration, and nutritional consultation. Operation. This procedure is performed for people with severe emphysema, including surgery to remove the damaged lung , so that the remaining lung tissue can expand and work more effectively. Whereas if the lung damage is very heavy, a lung transplant can be done. In addition to these three forms of treatment, patients must also make efforts to inhibit the development of emphysema and prevent complications. For example by stopping smoking, avoiding smoke or air pollution, exercising regularly, and making vaccinations recommended by doctors to prevent lung infections. People with emphysema are at risk for several complications. These include pneumothorax , pulmonary hypertension , and even heart failure. 0 Response to "What Is Emphysema?"